Hong Kong was a British colony from 1842 to 1997, when it was returned to China. 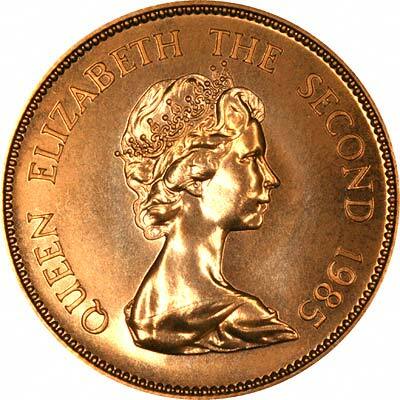 Although Hong Kong has had its own coinage since 1863, its first gold coins were only issued in 1975, the first being a $1,000 coin issued for the visit of Queen Elizabeth II. This was followed from 1976 to 1987 by a series of One Thousand Dollar coins, each with a different design themed on the Chinese lunar calendar. We note some discrepancy between the mintages quoted in Krause and the issue limits shown on the certificates which accompany these coins. For example, Krause states 30,000 mintage for the 1985 uncirculated, whereas the certificate shows an issue limit of 20,000 pieces. As it would be highly unusual for the actual mintage to exceed the issue limit, we are left to guess where the error lies. 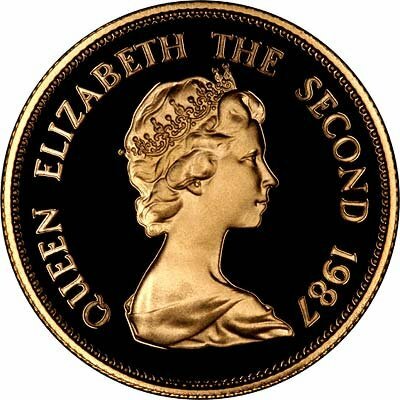 Although it is possible that the Royal Mint have allowed an error to find its way onto their certificate, it seems more likely that Krause has got it wrong, and we do find frequent errors and omissions in Krause. 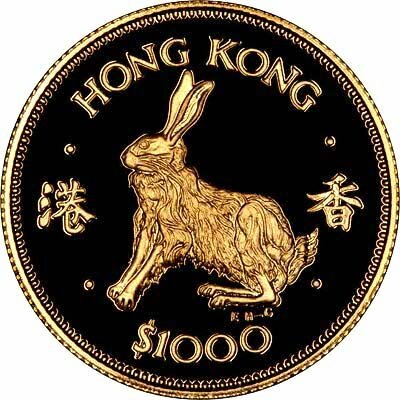 For Hong Kong coins in silver or base metal, or Hong Kong coin sets other than gold, please look at the Hong Kong Coins page of our original website. 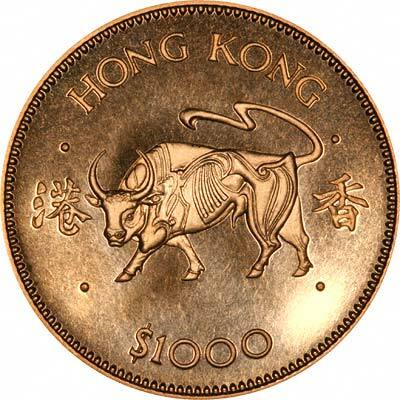 We make an active market in almost all world coins, gold or otherwise, including Hong Kong gold coins. If you have any of these coins to sell, please contact us, or post them to us for appraisal and offer.